By now, we are sure that everyone who loves jewelry has at least heard of Tiffany & Co. This sought-after company was founded in New York in 1837 by Charles Lewis Tiffany and John B. Young. As such, it was the first American brand whose products differed from the standard European aesthetics at the time. Inspired by the natural world, these young entrepreneurs found inspiration in clarity, simplicity, and harmony. Being the first in many things, Tiffany set multiple standards. The most noteworthy one, however, was probably the engagement ring as we know it today. The design which was made to highlight the diamond and lift the stone from the band was revolutionary. To this day, people seek such engagement rings. Even today, their designers have stayed faithful to the initial inspiration: the natural world. 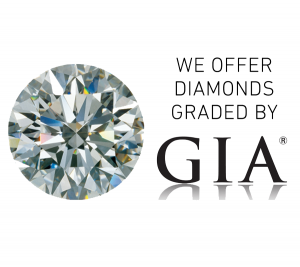 Their diamond has set standards that are as strong as ever. Those standards have made the company one of the greatest institutions in America, as well as worldwide. So, if you own a piece of jewelry made by Tiffany and Co., consider yourself lucky because the brand is indeed timeless. It is no wonder that people have enjoyed buying their jewelry from day one. What if You’re Looking to Sell Your Tiffany Jewelry? Although it is one of the most prominent brands in the world, it doesn’t suit everyone. If you happen to have Tiffany jewelry which isn’t really up to your taste or it reminds you of times which you wish to put behind, you can sell it. The Gold ATM is the top gold and fine jewelry buyer in Atlanta that can buy your Tiffany jewelry. Their expert buyers can provide a fast and accurate evaluation of your jewelry in front of you and give you the best offer. Furthermore, The Gold ATM is the highest-reviewed fine jewelry buyer in Atlanta; They buy diamonds, watches, gold, silver, and much more. Therefore, you can rely on them to provide the best customer service. Their 250 five-star reviews on Google speak for themselves. Hence, their customer service is what makes them great. Simply bring your Tiffany jewelry to one of their stores, and they will take you through the evaluation process and educate you on the true value of your jewelry.